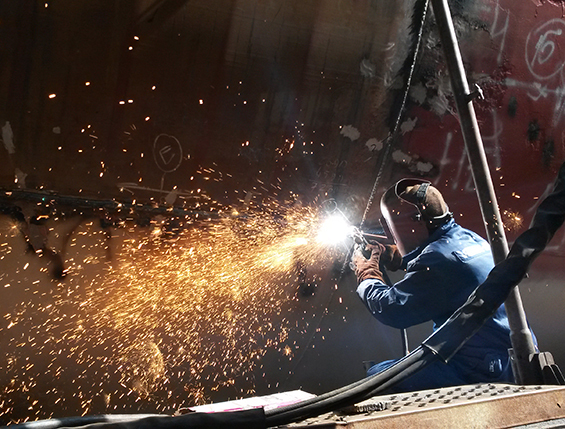 Our workshops & technical teams are fully equipped with modern devices and the necessary materials to provide ship repair services, maintenance and reconditioning facilities to our clients, 24/7 on every single day of the year. All fabrication works are personally managed and handled by our joint alliance skilled workmen as we take pride to ensure that all repaired or fabricated items do not require a rework or refitting. We also manage and provide riding crews to execute repair and engineering works during sea voyage. Throughout the jobs carried out over the years by our team, we gained substantial experience, developed and refined our repair technology and have successfully accomplished a great number of contracts for our national and international clients. Furthermore, Our team of experienced engineers and technicians provide the flexibility to carry out any kind of work on board a vessel to the satisfaction of ship-owners and in compliance with classification society requirements as usual.